Bloom Farms is working to give back to their Californian community by donating healthy meals to those in need all year long. Bloom Farms is a one-for-one company that pledges to donate one meal to those less fortunate for every purchase they receive. 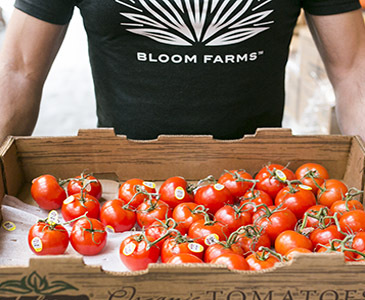 By incorporating social responsibility into their business’ platform, Bloom Farms shows a true understanding of the importance of giving back. In an effort to help individuals across California, a state with a continuously rising homeless rate, Bloom Farm wants to make 2017 the year they’re able to provide one million free meals. California provides nearly half of America’s fresh fruits and vegetables, and this gives Bloom Farms the unique opportunity to partner with a variety of food banks. Since there is an abundance of fresh nutrients around, they are able to provide not just meals, but healthy meals to families in need. One out of every eight families living in California suffers from food insecurity or the uncertainty of where their next meal will come from. By forming these partnerships with food banks, Bloom Farms is able to alleviate some of the stress and worry these families feel by helping to provide a vital food source. By purchasing Bloom Farms’ cannabis products, consumers are able to ensure their money is going far beyond the pocket of a corporation. For each purchase made, Bloom Farms provides one meal to a struggling family or individual dealing with food insecurities. Last year, they were able to provide more than 250,000 meals to those in need. In an effort to raise even more awareness and aid, Bloom Farms is setting their goals for 2017 high. They hope to provide one million meals in just 365, an achievable task with help from consumers like you. Visit BloomFarms.com to shop their line of oils, pre-rolled joints. and exclusive reserves. With every purchase made, consumers can take joy in knowing their helping to feed a hungry family tonight, simply by enjoying the cannabis they love.